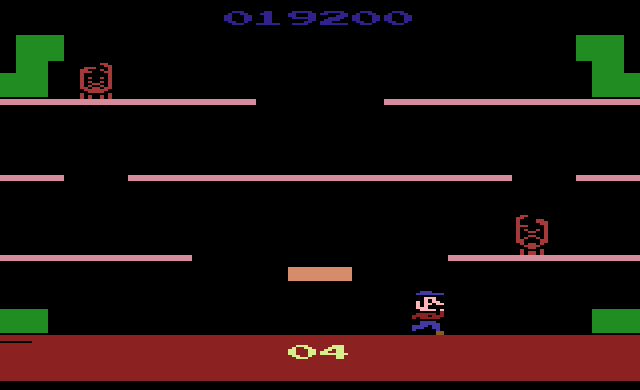 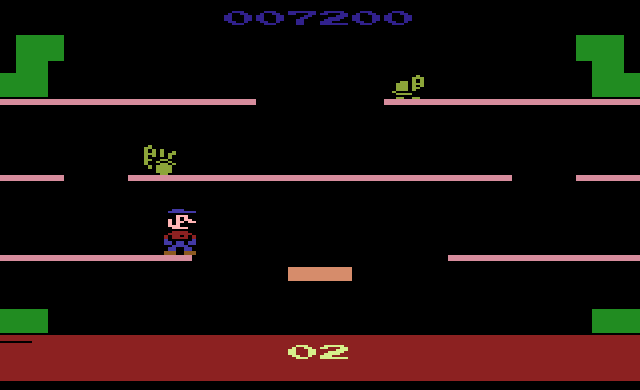 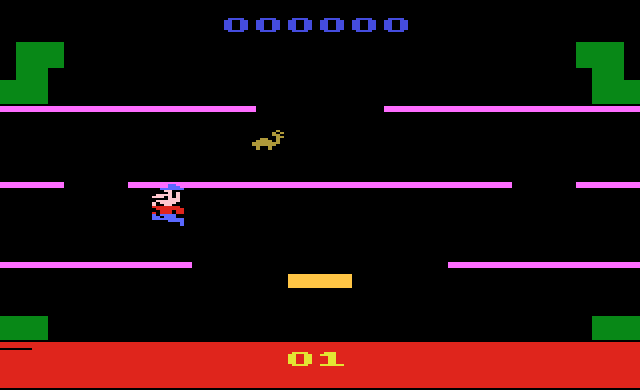 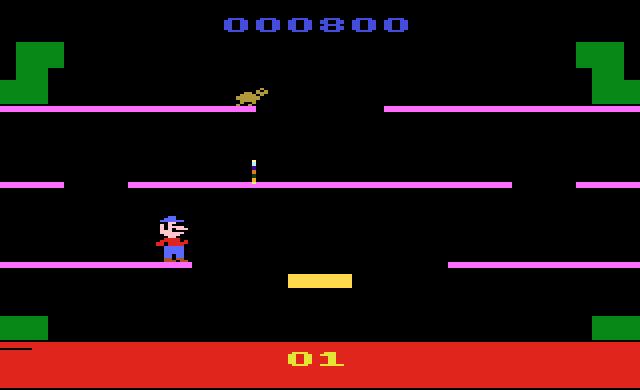 AtariAge - Atari 2600 Hacks - Return of Mario Bros.
An improved version of the original game complete with a new title, Return of Mario Bros.
All Player and Enemy Sprites have been changed to more faithfully represent their arcade counterparts. 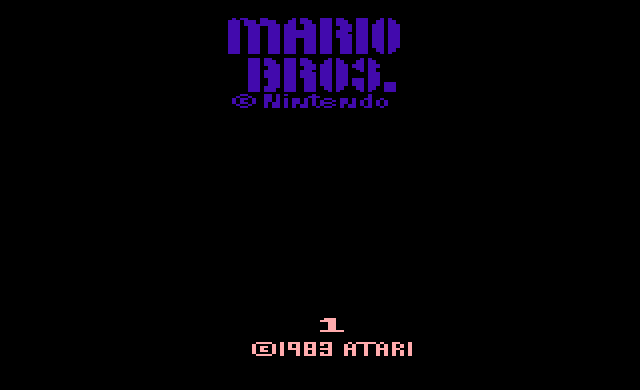 Philip R. Frey has even created a custom label for the game which he'll gladly send you if you send him a private message. 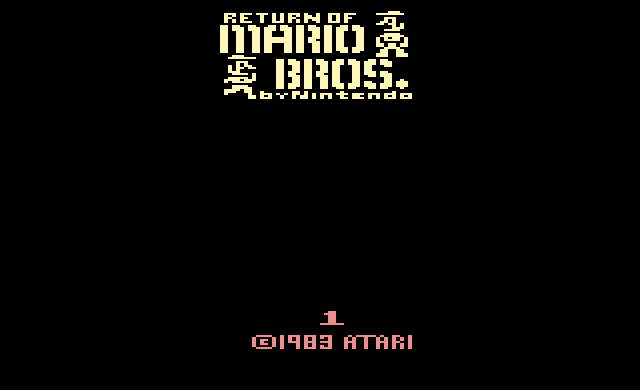 You can buy a copy of this hack in cartridge form from the AtariAge Store.